SKF NOTE: James Bradley, Jr. earned the drum chair with Chuck Mangione after his immediate predecessors: Joe LaBarbera and Steve Gadd. Mr. Bradley recorded with Chuck Mangione some excellent albums. Feels So Good (1977) had its title song reach #4 on Billboard’s Hot 100 chart. That album was followed by Children of Sanchez (1978), and Live at the Hollywood Bowl (1978). In 1979, James Bradley, Jr. recorded Chuck Mangione’s Fun and Games album which featured Give It All You Got, the official theme song of the 1980 Winter Olympics in Lake Placid, NY. I was familiar with and liked James’s work with Mangione, but I didn’t know much about James Bradley, Jr. when he and I met for this interview. Don’t know why I wrote no introduction to this interview. 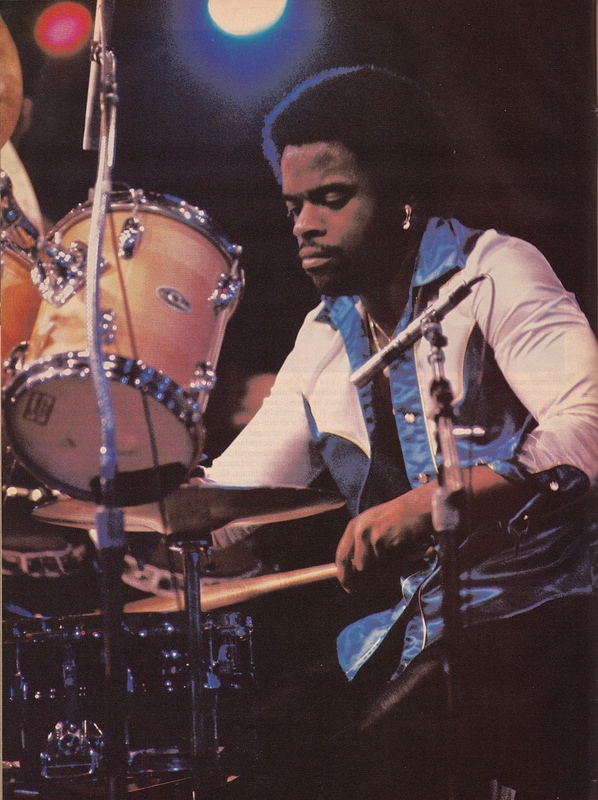 Probably because, outside of his playing on Mangione’s albums, I didn’t know anything about James Bradley, Jr. Whatever I might have said by way of introducing Mr. Bradley is included in this interview. Finally, other than photographer Tom Copi‘s color photo, this is one of the rare Modern Drummer interviews that included my photos. James and I were onstage at the Westbury Music Fair in Westbury, NY. 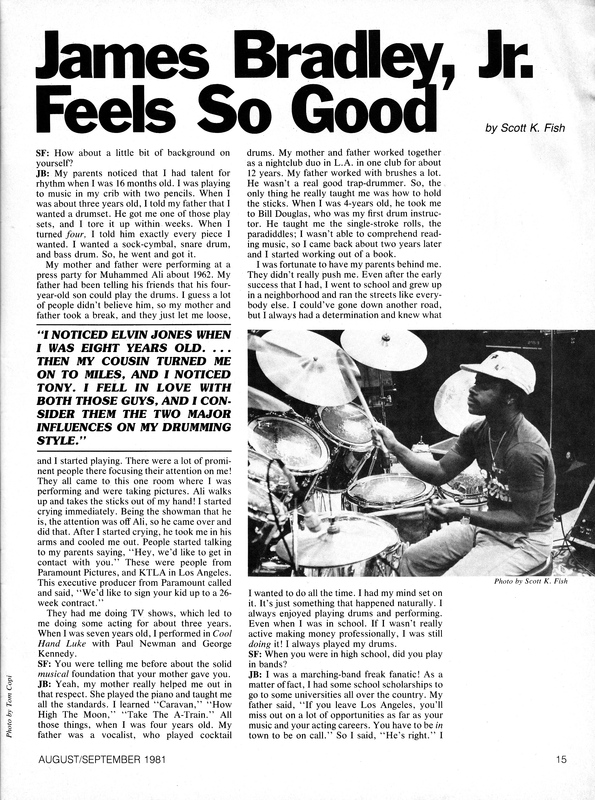 This entry was posted in SKF Blog and tagged 1980 Winter Olympics, Chuck Mangione, Drummer, Feel So Good, Give It All You Got, James Bradley Jr, Modern Drummer, Scott K Fish. Bookmark the permalink.